Hearing loss occurs when there is damage to your inner ear or when natural degeneration occurs as a result of aging. 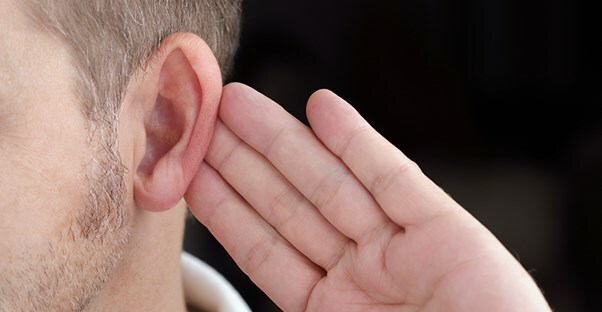 Some of the symptoms of hearing loss include muffled speech, difficult understanding words, trouble hearing consonants, frequently asking others to repeat themselves, and constantly needing to turn up the volume of the television or radio. Talk to your doctor if you find that your loss of hearing is beginning to interfere with your everyday life. If your doctor suspects you may have hearing loss, he or she may refer you to an audiologist, which is a doctor who specializes in hearing problems. Here are some of the tests that can help your doctor diagnose your hearing loss. Initially, your doctor will likely look into your ear canal for any evidence of possible causes for your hearing loss symptoms. It could be due to earwax buildup or inflammation from an ear infection. If this is the case, the problem can easily be treated and your hearing should return to normal. If there is no visible cause of your hearing loss, your doctor will probably perform a general screening test to see how well you are able to respond to certain sounds. This will include covering up one ear at a time and judging how well you hear words spoken at various volumes. Various on-hand methods of hearing testing can be utilized for a general screening test such as rubbing fingers together, whispering, scraping, etc. If a noticeable amount of hearing loss is detected, then your doctor will likely recommend further testing to determine the degree of hearing loss and how treatment should be approached. One of the most common ways to assess hearing is by using tuning fork tests. Tuning forks are two-pronged metal instruments that produce different kinds of sounds when they are struck. By conducting simple tests using these instruments, your doctor is able to detect the level of your hearing loss. These types of tests can also help your doctor determine what is causing your hearing loss, whether it be damage to the vibrating parts of your middle ear and eardrum, damage to the sensors and nerves of your inner ear, or a combination of both. This is a more thorough test that is usually conducted by audiologists to assess your hearing. Audiometer tests involve wearing earphones and hearing sounds directed to only one ear at a time. The sounds are a range of tones and types, and you are supposed to indicate whenever you are able to hear each sound. Each tone is then repeated at the faintest levels possible to determine what your threshold for hearing really is. The results of these tests are recorded in an audiogram. This type of testing is the most effective, but unfortunately it is not always available to use for hearing tests. Audiologists may also use words to assess your hearing and determine how well you are able to hear. Should You Have Your Hearing Tested?